Good Chemistry Nurseries is excited to provide Solvent-less Hash Oil (Rosin) for our customers and patients. Rosin is a highly concentrated form of THC and is produced by separating a honey-like resin from marijuana plant material, by using just heat and pressure. No Butane, Propane or CO2 were used to make this product! 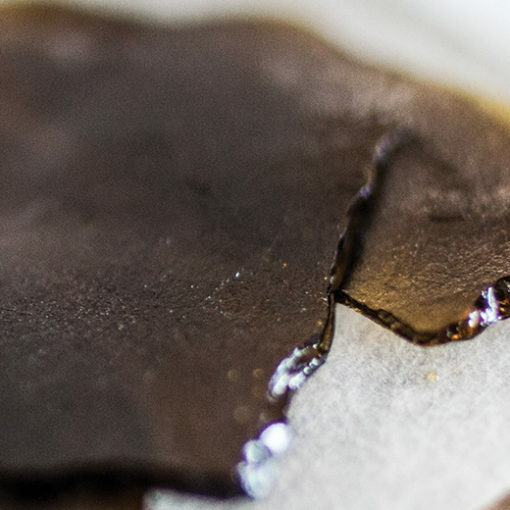 Rosin can be consumed a few different ways, the most popular is dabbing. If you are unfamiliar with dabbing please ask your budtender for advice on “how to”, and any supporting items you may need to fully enjoy your Rosin. Rosin stability is based on temperature. The warmer it gets, the more unstable and messy it can get. Store Rosin in a cool area. Your car or pockets are not the best places.